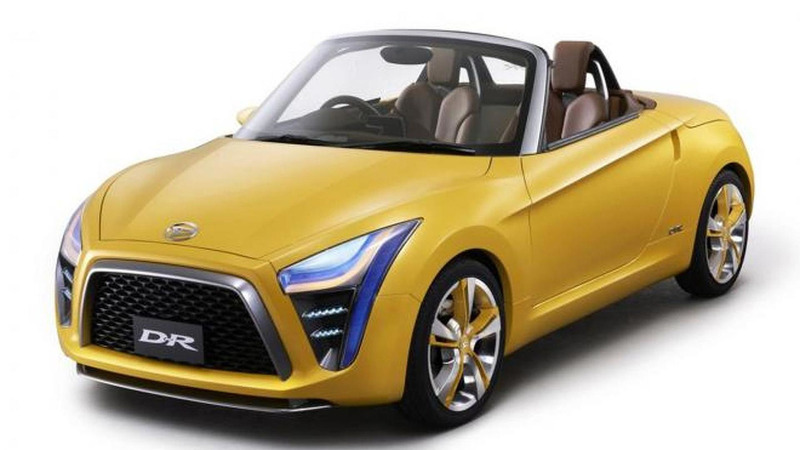 A recent report says Daihatsu plans on bringing back to life the Copen in the near future. A couple of days ago we saw Honda’s S660 concept which serves as a preview for a modern Beat due in Japan in 2015. Now, British media is reporting Daihatsu plans to resurrect the Copen and thus recreate the Beat vs. Copen comparisons even though the production years of the two models never collided. Daihatsu did show a D-R Concept at last year’s Indonesian Motor Show which could indicate the production model’s styling approach. While the original model was a kei car, it is not known whether its modern successor will fit this category which requires (as of October 1, 1998) vehicles be up to 3.4 meters long and 1.48 meters wide, while the engine must have a 660cc capacity and a maximum output of 64 HP (47 kW). There are some rumors suggesting the Honda Beat will be sold outside Japan with a larger engine, leading us to believe Daihatsu could sell the model in other markets as well, such as United States where it could be badged as a Scion since Toyota has a majority stake in Daihatsu.